Abracadabra! The enchanting 5-reel White Wizard slot machine features dragons, wizards, & wands across 25-paylines. Take a mystical adventure with White Wizard Slots. This magical slot machine features high quality graphics and seamless playability, resulting in a great all-round gaming experience. White Wizard Slots features 25 potential paylines across its 5 reels. It includes many fantasy icons such as unicorns, dragons, magic wands and cauldrons as well as your standard slots symbols such as the King, Queen and Jack. The Wild symbol is the White Wizard and can be substituted in for any other symbol except the Scatter, doubling pay-outs on winning combos. The dragon is your Scatter and if you spin three or more you’ll pick up between 15 and 25 free spins. 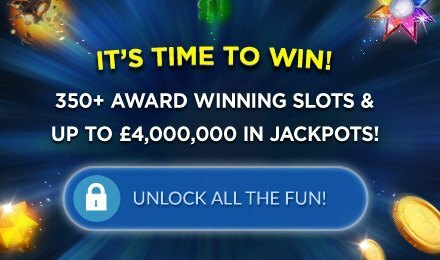 The slot also has an innovative gamble feature which is activated after every winning spin and gives you the chance to risk all or part of your winnings on whether a card will be red or black. It’s a great additional feature for the more adventurous players out there. White Wizard Slots combines a fantastical theme, free spins special and innovative gamble feature which all combine to make it an exciting slots game choice.